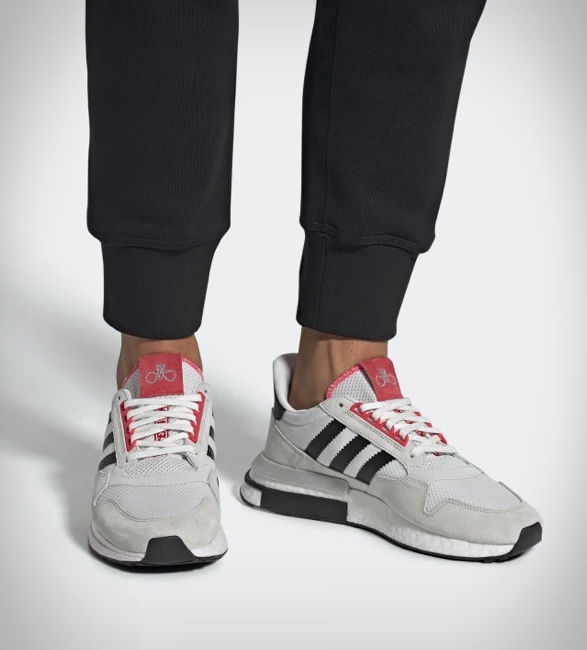 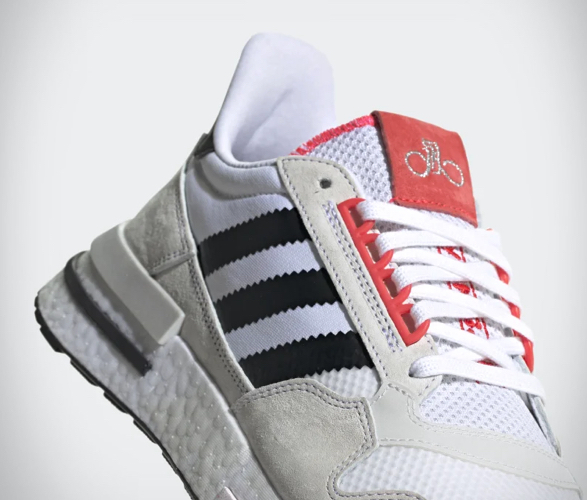 Bicycle manufacturer FOREVER has teamed up with Adidas for their take on the popular Adidas Originals ZX 500 RM. 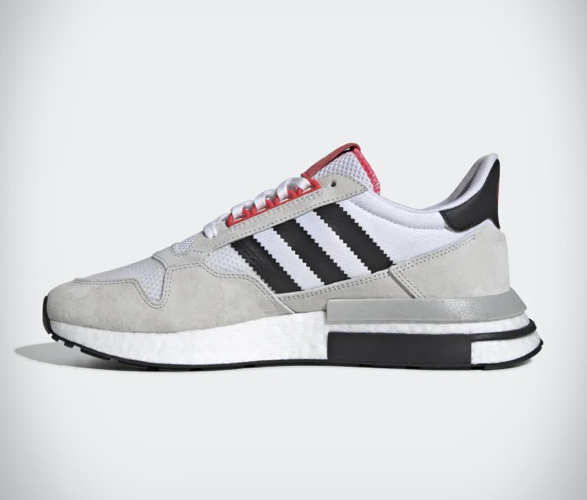 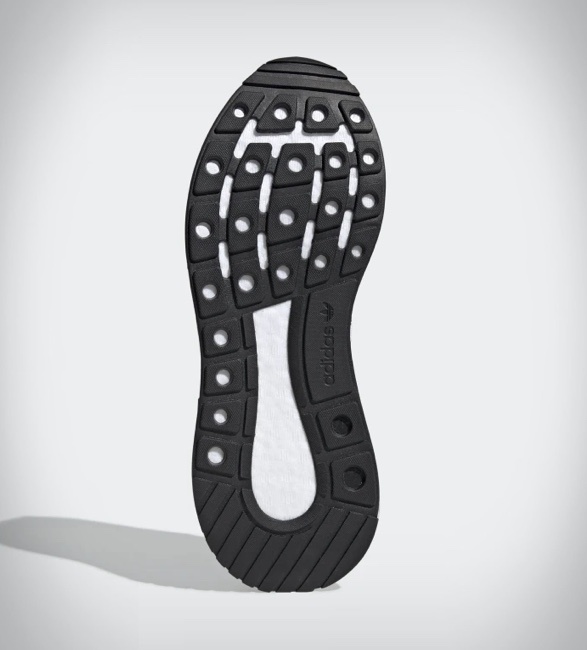 Their minimalist version keeps the beloved retro style, but has been upgraded with today´s latest technology, a full-length BOOST midsole replaces the traditional foam tooling of the first sneaker, for a lightweight and energized feel, and a re-engineered mesh and suede upper. 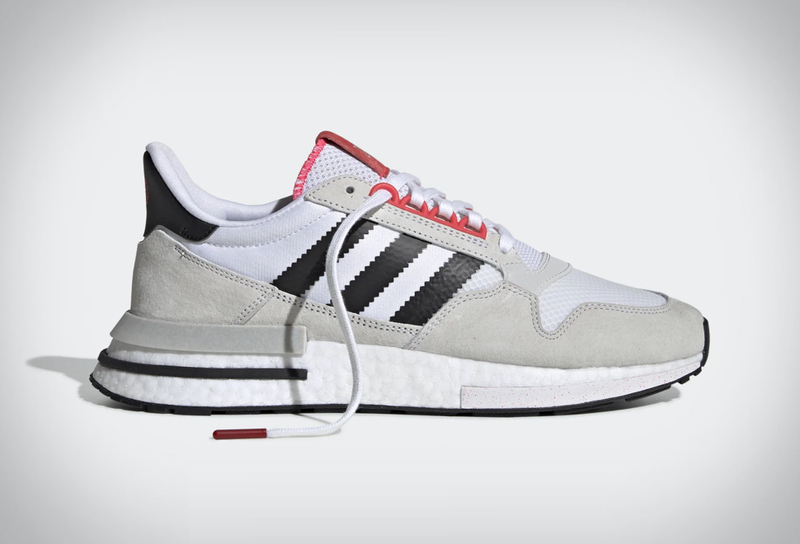 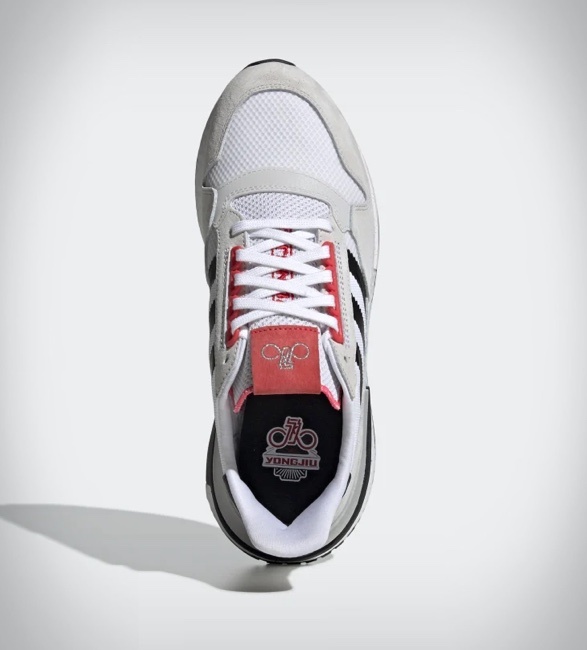 FOREVER have incorporated a light color palette onto the sneaker, where a few shades of grey are joined by white, black and light red accents.